We focus our practice in Workers' Compensation, Personal Injury, and Social Security Disability as we primarily serve working people and their families who have been disabled by injury or illness. Our attorneys have family roots in Western NY and a long-term commitment to helping working families. We have assisted working families for more than 30 years by handling Workers' Compensation, Personal Injury, and Social Security Disability matters. We are large enough to serve our clients' needs, but small enough that we are able to give personal, individual attention to our clients. Richard has been practicing since 1974. His practice concentrates on real estate, small business, financial counseling, bankruptcy, and estates. He is counsel to the Jamestown Housing Authority and examining counsel for First American Title Insurance Company. Richard is an avid scuba diver and also enjoys serving as a board member of the Lucile M. Wright Air Museum. 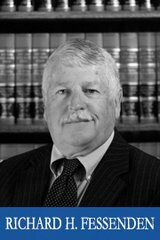 Formerly, Richard served as the attorney for the Village of Falconer, Associate Corporation Counsel for the City of Jamestown, and was an Assistant Public Defender for the County of Chautauqua. Richard is a 1968 graduate of SUNY Oswego and a 1973 graduate of Syracuse University College of Law. 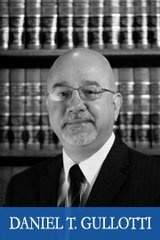 Kevin has been a trial attorney since 1979. His current practice focuses on civil litigation, primarily in the area of personal injuries involving work-related injuries, product liability, and automobile accidents. Previously, Kevin served as Public Defender for the County of Chautauqua. 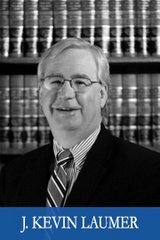 Throughout his career, Kevin has successfully tried a wide spectrum of cases and presented appeals to the Appellate Division of the Supreme Court and the New York State Court of Appeals. He is admitted to the New York State Bar and the Western Districts of both the New York and Pennsylvania federal district courts. Kevin is a member of the New York Trial Lawyers Association, American Association of Justice (formerly ATLA), and the American Inns of Court. He is a graduate of SUNY Buffalo Law School. Chuck has provided outstanding representation to injured workers and their families for many years. 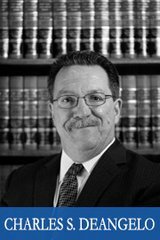 Chuck has experience in many aspects of worker and personal injury, including day-to-day litigation related issues as well as negotiating favorable settlements for his clients. Chuck's extensive negotiation experience is a great asset in representing our personal injury clients. Chuck has provided experienced representation to both public and private unions in Chautauqua, Cattaraugus, and Allegany counties. He has also served as an arbitrator and currently is a Regional Attorney for C.S.E.A. Chuck has made presentations on a number of labor related issues, including Interest Arbitration, Discipline & Discharge of Public Employees, Email Communications in the Workplace, an Overview of Labor Laws, Steward Training for private and public sector unions, and Ethical Issues in a Deposition Context. Chuck has volunteered to assist numerous social action agencies, including the Chautauqua County Youth Hockey Association Sled Hockey program; the Jamestown Bar Association as former President; and the Hunter's Hope Foundation, Inc., having served as a member of the Board of Directors. Chuck is also a member of the Eighth Judicial District Character and Fitness Committee. Chuck is a graduate of Georgetown Law School. He also earned Bachelor of Science and Master of Science degrees from Cornell University ILR School. He is admitted to practice law in New York, Pennsylvania, and the District of Columbia. Chuck is AV rated by Martindale-Hubbell. Mary has been practicing law since 1988. As the principal personal injury partner, Mary has extensive experience in negotiating settlements, securing experts, handling witness depositions, and the numerous other aspects of litigation. Mary has been active in various community organizations, including the Chautauqua County Humane Society. She is a past president of the Jamestown Bar Association. Mary has previously served upon the Eighth Judicial District Attorney Grievance Committee, as Town Justice for the Town of Chautauqua, and as an Assistant County Attorney for Chautauqua County. Mary is a graduate of Duke University and SUNY Buffalo Law School. Daniel was admitted to practice law in 1986. Since joining Fessenden Laumer & DeAngelo in 1994, he has concentrated his practice to become a skilled workers' compensation lawyer. Over the past 21 years, he has successfully represented thousands of injured workers. Daniel represents clients in both Chautauqua and Cattaraugus counties. He is a graduate of Grove City College and Albany Law School and is a member of the Injured Workers Bar Association. 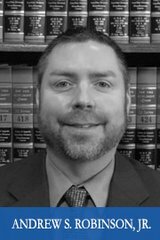 Andy has been practicing law since 2001; first as Assistant Prosecuting Attorney for the City of Lakewood, Ohio, and then in private practice, gaining extensive trial experience. He decided to return with his family to his native Chautauqua County in 2013 because he felt drawn to come home in order to do his part to help strengthen the local community and serve the people of Chautauqua County. Andy is admitted to both the Ohio and New York state bars, as well as the U.S. District Court for the Northern District of Ohio and the Western District of New York federal court. Andy is active in the community, presently serving on the Board of Directors for the Chautauqua Blind Association. He is a member of many local organizations and volunteers as a Little League coach. Andy is a graduate of Southwestern High School, and Allegheny College, where he was an Alden Scholar. He earned his law degree from Cleveland-Marshall College of Law in 2000. Galena has been practicing law since 2014. 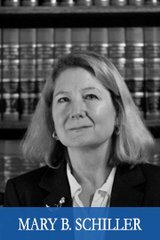 She concentrates her practice on Social Security Disability, estates, and matrimonial law. Galena earned a Master's Degree in English Literature with honors from the State University of New York at Fredonia. In 2013, Galena graduated from the State University of New York at Buffalo Law School. Prior to attending law school, Galena worked for ten years with the Chautauqua Striders at SAFARI Tutoring and Mentoring Program in Jamestown. While in law school, she participated in an externship with the New York State Attorney General's Office. Galena is admitted to the New York state bar, as well as the Western District of New York federal court.